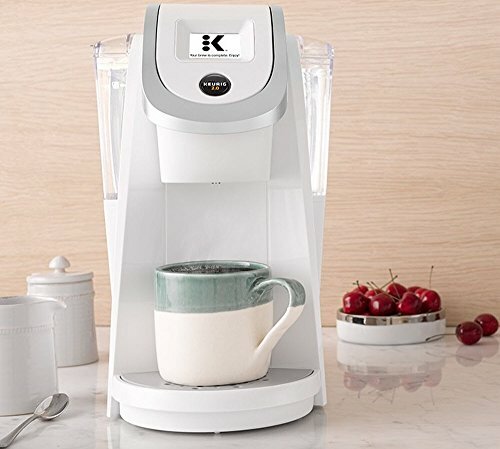 With the 2.0 range, Keurig introduced a new technology that allows users to easily brew multiple sizes, from a 4oz K-Cup all the way up to a 30oz K-Carafe. The 2.0 system features a K-Cup ‘reader’ that means the brewer can pick up on the type of capsule inserted and customize the brewing cycle accordingly. 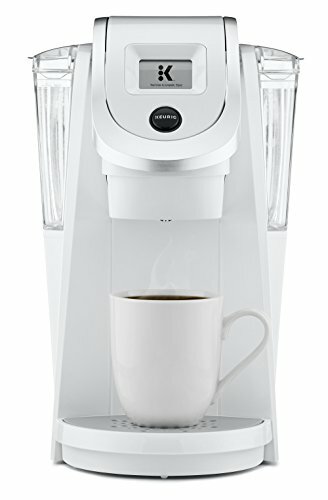 The Keurig 2.0 range of brewers features several models, all of which have much in common but also a few important differences. To help you choose the best model for your needs, we’ve compared two brewers, the K250 and K350 to highlight what each has to offer. 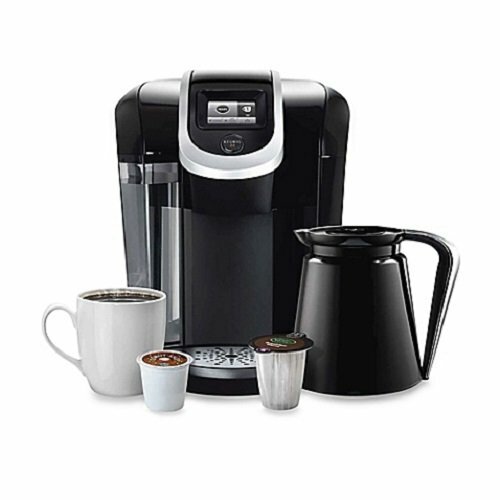 The K250 is a slimline and fully functional Keurig 2.0 system brewer from the manufacturer’s Plus Series. It features a compact removable 40oz water tank, which is located at the back of the unit. To brew using the K250, simply lift the handle located at the front of the brewer, insert a K-Cup, K-Mug or K-Carafe pod into the compartment and lower the handle. Put a cup or mug on the removable drip tray, or fit the compatible carafe in place, and ensure the water tank is topped up. Select the desired settings using the touch screen, press the brew button, and wait for the magic to happen! Control Setting: The K250 features a strength control setting for brewing bolder coffee and a high altitude setting for optimal brewing. You can make selections using the 2-inch black and white touch screen. There are separate settings for brewing specialty beverages. The brewer is set up to brew at the optimal temperature for each pod (between 192 and 197F). Compatibility: The important thing to note about the K250 – and indeed all brewers in the range – is that the 2.0 system introduced a new range and style of compatible pods. This means the old-style K-Cups are not compatible with the 2.0 system brewers. The downside to this pretty obvious! The new technology reads each pod, rejecting those which are incompatible. 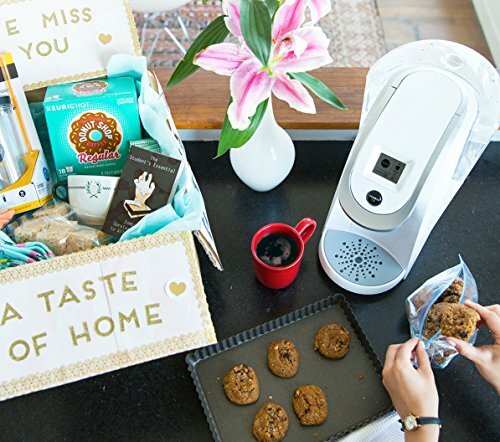 Of course, some enterprising people have found unofficial ways around this restriction, but it is worth bearing in mind before purchasing – especially if you’re upgrading from an old-style Keurig and have a stack of pods to use up. With the K250, you can choose from the full range of 2.0 K-Cups, K-Mugs, and K-Carafes. You will need the compatible K-Carafe to brew with the K-Carafe pods. The brewer is sold new with a selection of pods to get you started. 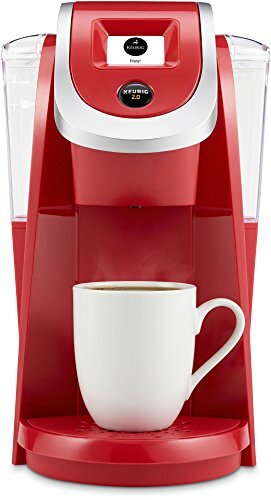 However, note that this is one of the 2.0 system brewers which is not sold with the K-Carafe. If you want to buy a K-Carafe, they retail at around $30 (list price) for the thermal version and $20 for the non-thermal version. In addition to coffee, you use the 2.0 brewers to brew with the range of teas, hot chocolates, and other specialty beverages. When the 2.0 system was launched, the brewers would not accept the My K-Cup reusable filter, prompting a storm of criticism. Keurig has now rectified this omission, so you can now use your favorite ground coffee with your 2.0 brewer. Maintenance: Maintenance duties on the K250include cleaning the exterior of the brewer, the drip tray and pod holder, in addition to clearing the exit needle and undertaking a periodic descale to prevent build-up impairing its operation. Overall, this is a simple to use brewer that offers a way into the 2.0 brewing system at a more than reasonable price. Building on the features and functionality of the K250, the K350 offers a few extras. The most notable of these is the significantly larger water tank. The K350 has a 60oz tank, which means a full 20oz more capacity. This alone may make it a more attractive purchase for offices, larger household or anyone who plans to drink lots of coffee and doesn’t want to hassle of regularly refilling the reservoir. Of course, a larger capacity means a larger brewer, with the K350 weighing in a little heavier than the K250 and taking up a tad more counter space. Operation: In terms of operation, the K350 is the same as the K250, with the option to control brew strength also to select which type of pods you want to brew with from the 2.0 range. Again, you have a black and white touchscreen, which on the K350 is slightly larger (at 2.4 inches). A further important feature to note on the K350 is that it is sold with the compatible K-Carafe, which saves the extra expense and hassle of buying one. As with the K250, this brewer is sold new with a starter selection of pods. Maintenance: Maintenance-wise, the K350 is the same as the K250, requiring the same descaling from time-to-time to keep it running smoothly. Overall, the K350 offers the basic 2.0 brewing system but is a slight step-up from the K250. Check out the latest prices and discounts! Price: This model is significantly cheaper than the K350, which may prove to be the main deciding factor for some potential purchasers. Size: This is a slightly more compact unit to fit into kitchens with limited counter space. Larger water tank: This model offers a full 20oz more capacity than the K350. K-Carafe: This model is sold complete with the K-Carafe, which is required to brew this type of pod. Note that the carafe is available to purchase separately if you prefer to go for the K250 model. 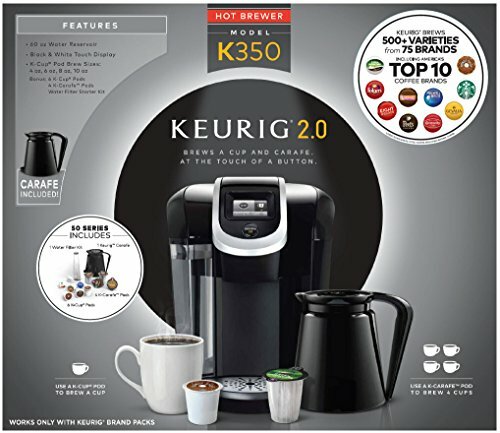 The K250 is best for: Anyone on a budget who still wants to explore the Keurig 2.0 system. Given the smaller water tank and lack of included carafe, it would also be a good option for smaller families, single-person households and any other users who don’t need the extra capacity and don’t plan to brew multiple cups on a regular basis. This might also make a nice going-away gift for a college-bound student. The K350 is best for: Anyone with a few more dollars to spend who likes a decent-sized water tank and plans to make full use of all the brewing options. This would also be a good model to consider for the small or medium-sized office as the extra purchase price can be shared between all the office coffee lovers. So what’s the final verdict? Both of these models offer the chance to enjoy full range of 2.0-compatible pods, all the way up to K-Carafes. If you’re on a limited budget, you’ll likely find much to enjoy on the K250 but if you have a few extra dollars to spare, we’d recommend going for the K350.